Since 2011, the MICHELIN Pilot Super Sport has dominated the max performance tire category and has been the benchmark for street performance tires since the day it was released. Even recently, it won a showdown between some of its nearest competitors. But winners don’t rest on their laurels, so Michelin went back to the lab and have developed something better, and today at the Paris Motor Show, they unveiled the MICHELIN PILOT SPORT 4 S.
Designed for sports cars and high performance saloons, the MICHELIN PILOT SPORT 4 S offers unparalleled driving pleasure thanks to its exceptional steering precision and directional stability. It provides maximum performance and safety on all surfaces due to its optimized tread footprint which grips the road in all situations, even the most extreme. The MICHELIN PILOT SPORT 4 S also displays excellent braking performance on both dry and wet surfaces, thanks to the use of ‘bi-compound technology’. The outer part of the tread uses a new hybrid compound that promotes grip on dry ground while the inner part uses a new compound with silica and functional elastomers which allows the tire to offer consistent grip on wet ground. This high performance on dry and wet surfaces, often conflicting characteristics in the world of super sports tires, here have advanced together. 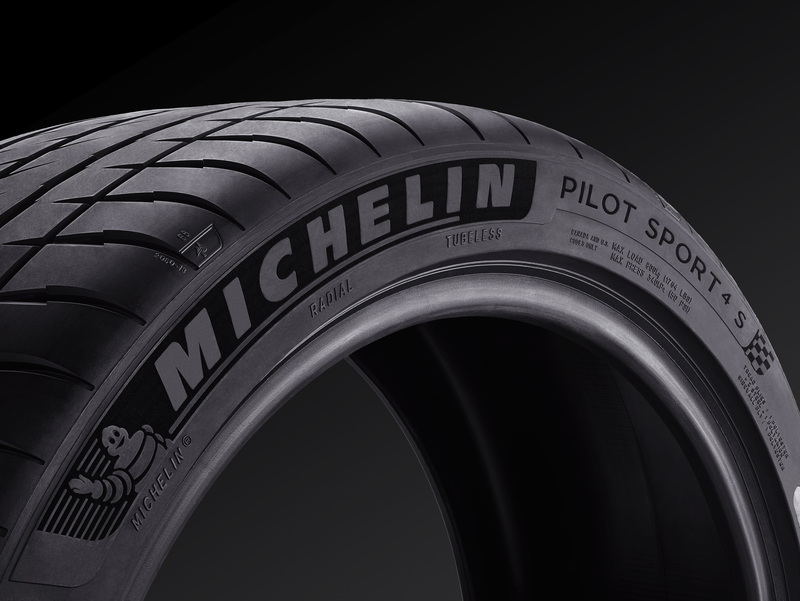 The MICHELIN PILOT SPORT 4 S is the result of a unique know-how developed by engineers passionate about their work and redefines the standards of the category. Adapted for driving at the highest levels on road and on track, it has already positioned itself as the number one in its class. In tests conducted by the independent organization TÜV SÜD in Germany, the MICHELIN PILOT SPORT 4 S surpassed its five major competitors in the different workshops, and has become the first ultra-high performance tire to dominate several key testing criteria simultaneously. 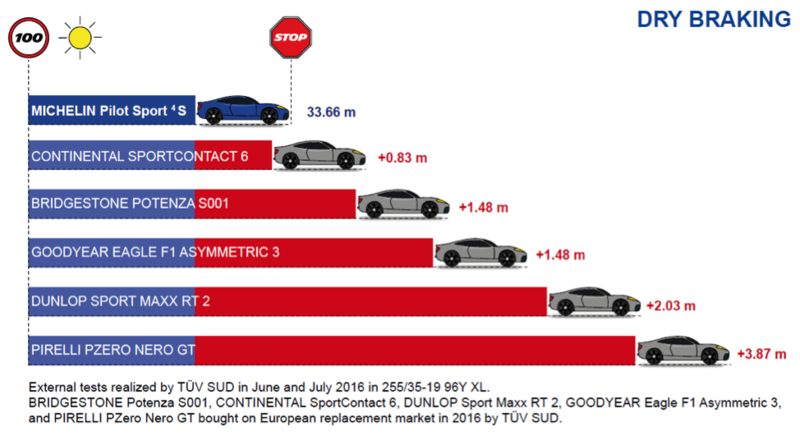 The new MICHELIN PILOT SPORT 4 S takes only 33.66 meters (110.43 feet) to brake from 100 km/h (62 mph) to a complete stop, when the best of its direct competitors takes nearly a meter more (+0.83 m, 2.77 feet). On a wet track 27.73 meters (90.98 feet) is enough to brake from 80 km/h (49.7 mph) to 0. This shows it once again as the best, almost 2.50 m (+8.20 feet) shorter than the worst performer. On a 2.60 km (1.62 mile) circuit, the MICHELIN PILOT SPORT 4 S proved to be between 0.40 seconds and 1.39 seconds faster per lap. It’s almost a second quicker on average, over this relatively short distance. One second seems insignificant; however the driving experience will be completely different. 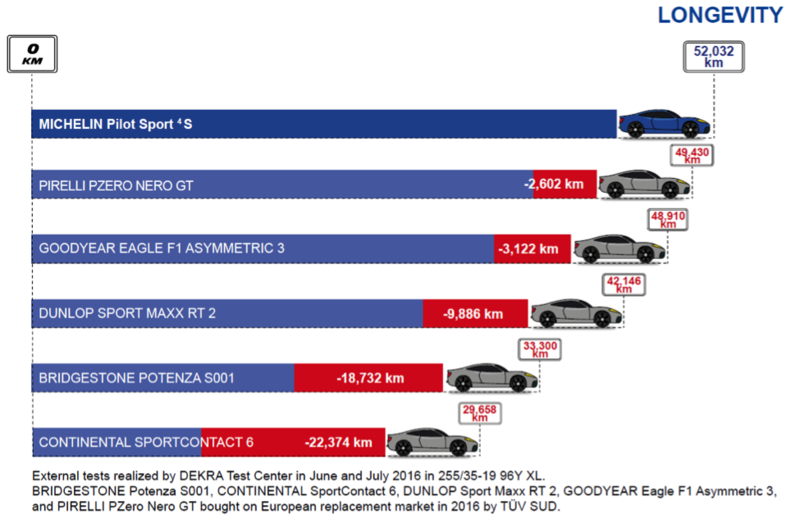 Wear tests conducted by the Dekra Test Center demonstrated that the new MICHELIN PILOT SPORT 4 S has the best longevity in its class, and it was the only tire to break the 50,000 km (31,068 miles) barrier. 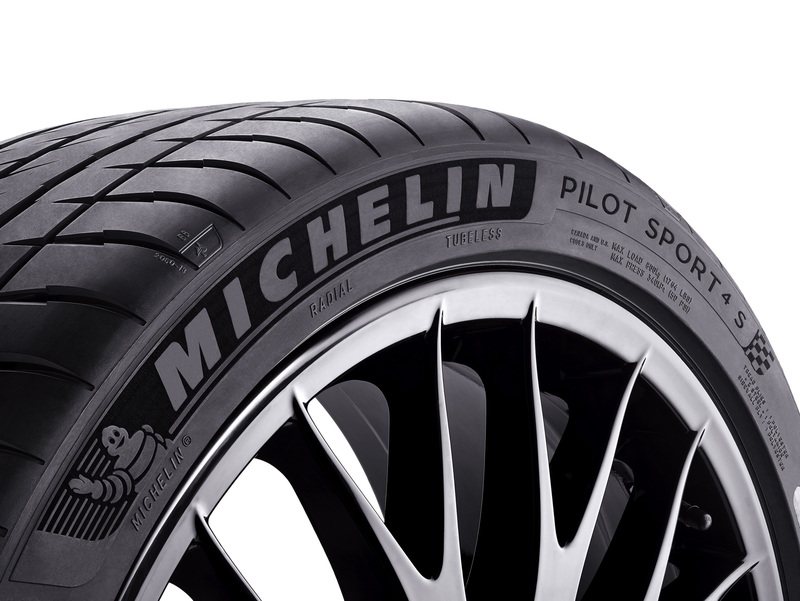 The MICHELIN PILOT SPORT 4 S is also among the first tires in this category to score an A rating on the European labelling scale (19 inch tire) in braking distance on wet surfaces. This label is intended to inform tire buyers of the performance of the tires they are planning to buy and also gives them information on the energy efficiency of the tire and road noise level. The MICHELIN PILOT SPORT 4 S also passes a new milestone in terms of reducing road noise, while providing good levels of driving comfort. Michelin is involved in several motor sport disciplines worldwide and uses this competition as a laboratory for development of future tire technologies, which are then used in the development of its production tires. Data collected during racing, mostly from ‘confidential’ tire technologies or rubber compound recipes, enable Michelin’s engineers to validate their findings. The MICHELIN PILOT SPORT 4 S, which is set to be one of the most successful sports tires ever designed by Michelin for the general public, uses construction methods and materials directly developed in competitions such as the FIA World Endurance Championship (WEC) and its flagship event the 24 Hours of Le Mans, Formula E, and the WRC. Michelin is working hand in hand with the world’s leading car manufacturers to provide the most suitable tires to complement the performance of their most exclusive models. 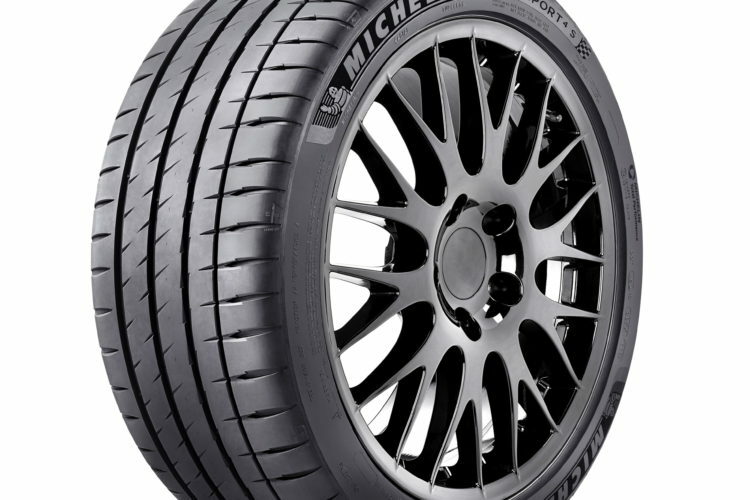 Thus, the MICHELIN PILOT SPORT 4 S has been developed to satisfy the owners of cars from manufacturers including BMW M, Ferrari, Ford, Mercedes-AMG, and Porsche. Like all of Michelin’s high-end tires, the MICHELIN PILOT SPORT 4 S uses Michelin Premium Touch Technology® to enhance the appearance of the sidewall design. This is a sign of the recognition and esteem in which these tires are held in the exclusive automotive world. 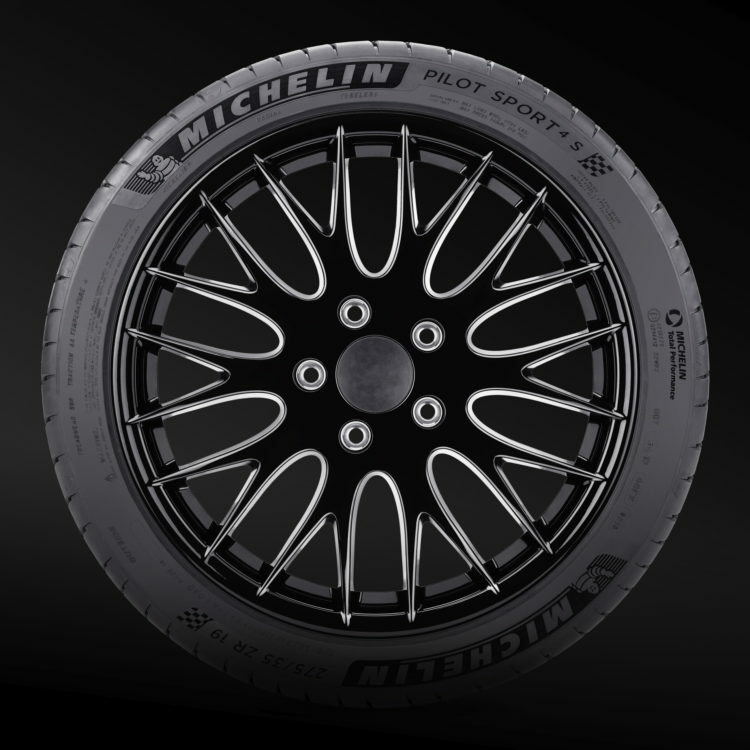 Moreover, while the vast majority of sports cars are equipped with larger diameter wheels and tires with low profile sidewalls, the MICHELIN PILOT SPORT 4 S has a practical and aesthetic rim protector that will, in many cases, avoid contact between the rim and the curb. The new MICHELIN PILOT SPORT 4 S will be available from January 2017 in Europe and from early March in the United States. It will be available in 34 sizes, in both 19 and 20 inch diameters. Expect a full review from us after we have the chance to test them out this January.